My 8 year old daughter made this lovely Felt Tissue Pack Holder recently at a new crafty Tea Shop that has opened in our city. She had a little help as we couldn't take long but this is something she could have definitely completed herself if she had time at home. Step 1: Make sure you have enough felt to wrap around the tissue pack. 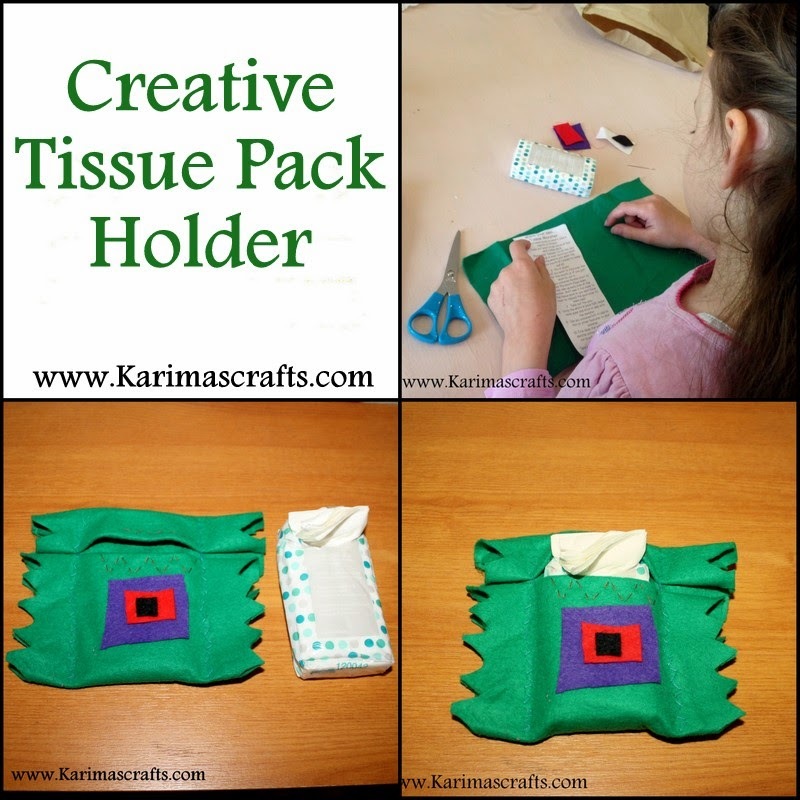 Then place the pack onto the rectangle and fold the felt over the tissue pack and pin into place leaving a slot for the tissues to come out and to replace the pack when required. Step 2: Sew down the long sides of the Tissue pack with straight stitches. Step 3: Add any other decorative stitches that you want or add embellishments to the holder. Step 4: Cut out a zig zag design down the side or use pinking scissors for a neater edge. You now have a lovely holder for your packet of tissues and unique to only you.